With the merge fields inserted into the main Word 2007 document and the address list standing by, you’re ready to start your mail merge! Click the Preview Results button. The fields in the main document vanish! They’re replaced by information from the first record in the address list. This is how the first customized mail-merge letter will appear. Look for formatting and punctuation errors, missing spaces, double or unwanted fields, and awkward layouts. To fix mistakes, you must leave Preview mode and then go back and reedit the main document. Click the Preview Results button again to exit Preview mode. You’re now ready to perform the actual merge. 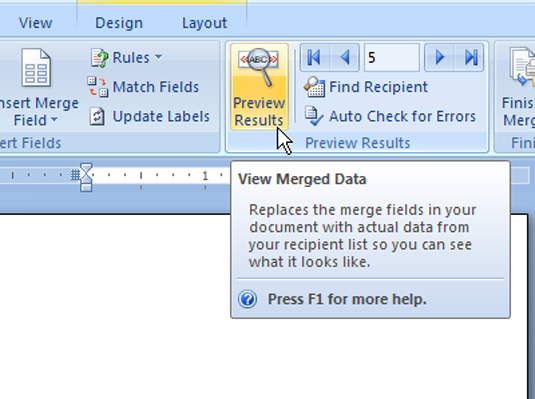 Select an option from the Finish & Merge menu. Print Documents: Usually the obvious choice: The documents have been previewed, and they’re ready to go. If the printer is all set up, choosing this option prints your documents and completes the process. Edit Individual Documents: Creates a new Word document, containing all the merged documents one after the other. This option is ideal for long mail merges. A dialog box appears, where you can choose which records to save or print. Click the All button to print or save everything. Print or save the final documents. 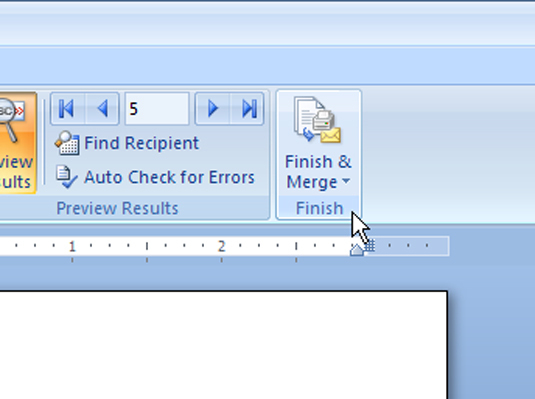 To print your documents, click OK in the Print dialog box. 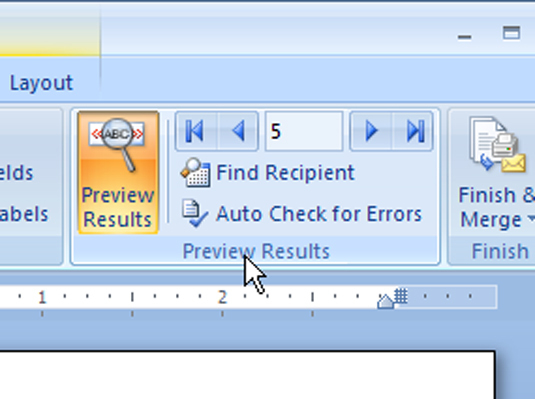 To save your documents, choose Save As from the Office Button’s menu. The merged documents appear all together in a single, new document created by the mail merge. Save and close the main document. You’re done.